If Tell The Polish Scene, my perception somehow there will be a lot of Potential Metal rough and savage that brings the Dark Atmosphere and more scary to remember and I mentioned, of which there may be Behemoth, Hate, Vader, Azarath and much more. I now want Introduce one potential that could be a reference for you who Hunting Death Metal band from a Republic in Central Europe bordered by Germany to the west of Oder-Neisse line, the Czech Republic and Slovakia in the south. SHODAN! came from one of the largest city, Wroclaw or Breslau. 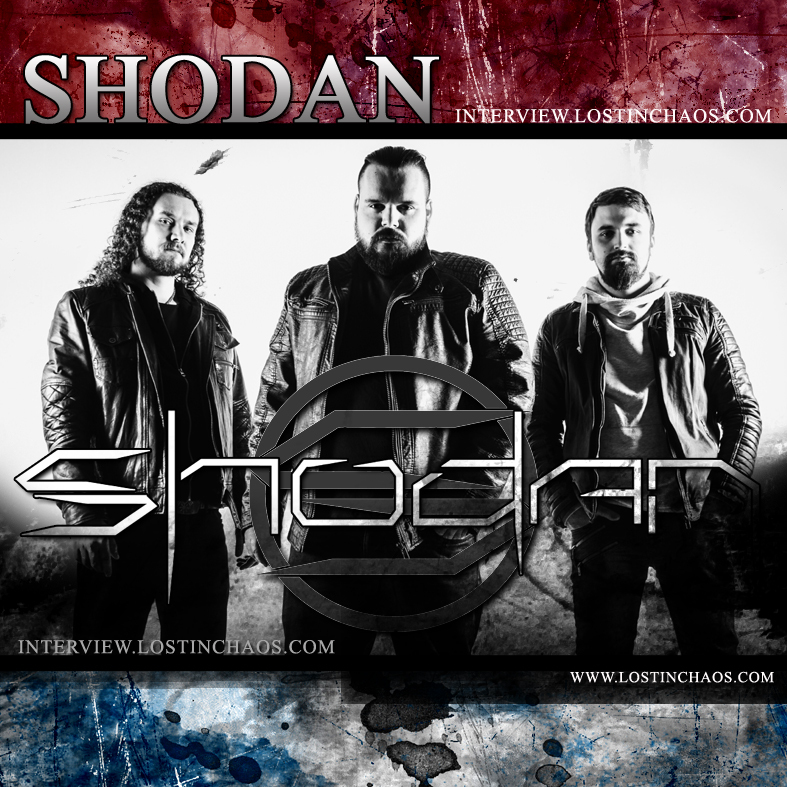 Shodan which began to form in 2013 can not be underestimated even though its existence is still green, but the band formed frontman szczepan Inglot, who is also known to still exist diband Technical / Experimental Death Metal Banisher, Vocalist Groove Metal band, Maigra and has strengthened the position of guitar in the band melodic Black / Death Metal, Extinct Gods along with drummer Michal Jarosz is now a partner in his new obsession Shodan try to offer Death Metal with a touch more dynamic. Just one year later only for Shodan to sink fangs of his first independent EP "Zero K" passable introduce Shodan name to attract the attention of then Defense Records soon propose in its roster. 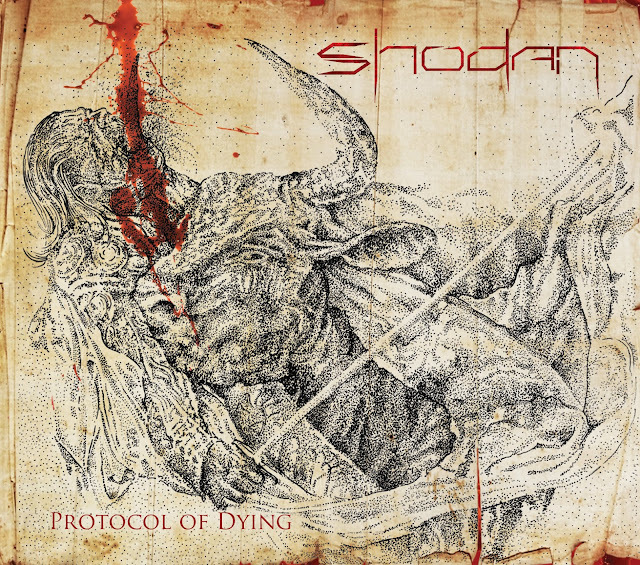 and March 31, 2016 quite a wait dreams real they introduced the first full length album "Protocol of Dying", still stinging with some influence Band they flown before, "Protocol of Dying" became Masterpiece early Shodan shows sharp fangs fun Expressing Death Metal with a touch more complex than we imagine. though not the new Metal Prototype, "Protocol of Dying" are ready to pulverize the anxiety of our hearts with a terrific burst of distortion. such as meeting its Melodic Death Metal At The Gates with his Blackened Behemoth who fought hard against his Cruel Crushing riffs Vader and Shodan gave birth back with force Dynamic Harmony. Regardless of what people claim about the Legacy due to the fact that it is more or less the Blueprint of the genre. It may not be the first, this is like a Stripped of the Bloated grandeur and Wayward Ambition of the Occasionally Farcical Blackened or even Black metal! Presentation Modern Style points may be more interesting why this release only. where we Hypnotically Contemplate the slow progress of a Blood Drop from Razor Edge. Hello! No waste of good suffering is wanted, give us a penetrating introduction to SHODAN and don't hesitate to stuff it hard! It seems the musicians of SHODAN play or used to play in various other outfits before... Is the band supposed to be a new and totally fresh entity, or rather the continuation of another one that existed before? Szczepan Inglot : Hi! The genesis of SHODAN reaches out the times when me and Michal Jarosz were playing together in our previous band- Extinct Gods. I had a lot of ideas for music that not nececerailly fitted that band at the time. Me and Michal both agreed that it would be a massive waste if we had thrown it away. That was my idea to form SHODAN and play it. We both had composed 5 songs which later formed an EP/Demo Zero K. SHODAN is not a continuation or supergroup or whatever. This a full-time band and it lives for its own. Tell us more about the reasons of choosing the SHODAN moniker. What is especially interesting in the "concept " or behavior of this disease causing element for it shall represent a Technical Death Metal band? 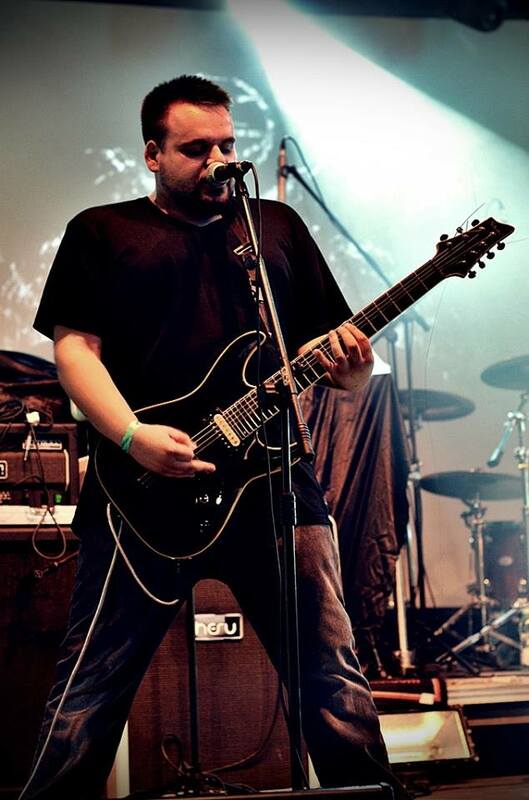 Michal Jarosz : The other matter is how truth there is about all this Technical Death Metal label. I would not put that genre as our default style so easily. I like to say that SHODAN is a crucible for all metal genres. Technical death metal indicates very serious lack of spontaneousness and rock and roll in metal music, however for us this is very important factor of SHODAN. What was the biggest compositional challenge for you when you were writing this album? Was it a problem you’ve always faced or was it unique to this effort? 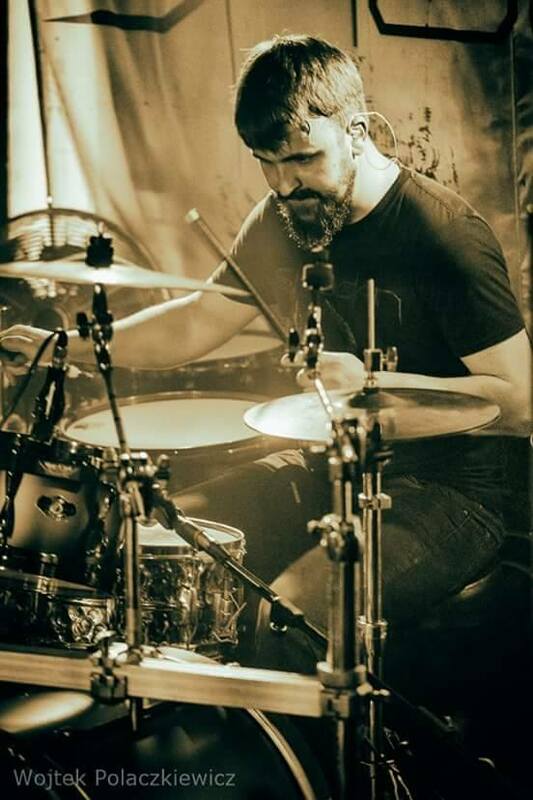 Szczepan Inglot : Well, while composing Protocol of Dying my goal was to create an album which would not be boring, keeping the listener interested and on the other to compose a fulltime, true metal thing. To find that balance between melody and a brutality and at the same time, keeping our identity through all 8 songs was the biggest challenge for me. But I think we succeeded! Congratulation First full Album " Protocol of Dying " are released now. Pure madness with perfect, Dark, Atmospheric, Unearthly production and There are a lot of little pieces of technicality scattered Shredd throughout the album. Now tell us about the concept and story behind this masterpiece. The Cool story behind new " Protocol of Dying ". The story is cool and Imentioned several influences in my review. Let's talk about it. Szczepan Inglot : " Protocol of Dying " is a concept album that hits the topic of "one true", dictated existence scheme. And protocol of dying. I was trying to look at this topic from various perspectives. Example: I described religious downfall in "Shrine", alcoholic in "Immaculate Deception" or tragedy of christian messiah in "Nails" . Each track is another "Protocol of Dying". Ironically the cover art which shows a scene from disgraceful act- Corrida where unexpectedly it was the bull who wins the fight. The animals breaks the scheme. He doesn't win any freedom in a literal way- it will be killed but wins his pride. The album is our manifesto of freedom. Until now whether, are SHODAN very satisfied with the results of the hardwork from Defense Records Co-released with Deformeathing Production for the band? Szczepan Inglot : Cooperation with our double-label is going smooth. I am very satisfied. Every time I contact them they prove themselves to be people full of passion for the metal music. New reviews are still coming, distribution points list is still growing, live gigs proposals.. Fantastic. Michal Jarosz : SHODAN is a newcomer so this is always harder to promote such a band. We are aware that we are one of the many so it is very satisfying to know that they released us only because Protocol of Dying quality. How you can Compare material with EP “ Zerø K “ ? Michal Jarosz : Song wise, production-wise and execution-wise Protocol of Dying is a completely different level. I believe that our newest effort is more born from Instinct that calculated, cold perfection as was in Zero K. We had more comfort while recording the album. Surprisingly the Zero K production took us much more time in composing even though it was twice shorter. Being spontaneous works for us. Your music is quite seriously Technical, Darkened, Progressive and Dynamic ... Don’t tell me “it’s just how we feel”, it should be directed towards someone or something... So what’s the reason for so much of Technical and obscure feelings influenced heavily by the early 90’s death metal scene? An excellent album that should be heard. If you really consider yourself a metalhead, give this band a try. and how the process of making this new material? whether all members are involved in every writing music?Michal Jarosz : We often discuss together some previously written by him instrumentation or vocal parts together in rehearsal room or home studio but it is Szczepan who is the main composer and producer. Szczepan Inglot : The composition process did not took long. It was a matter of 3 month to write all 8 songs without any pressure. When inspiration strikes the process is very quick. What is the special thing with SHODAN Dark Technical Stuff ? How much material Overdubbing and Harmonization do you do in the studio? Is layering a necessity for the SHODAN formula to work properly? Szczepan Inglot : I try to compose the album to get rid of unneccery harmonization. 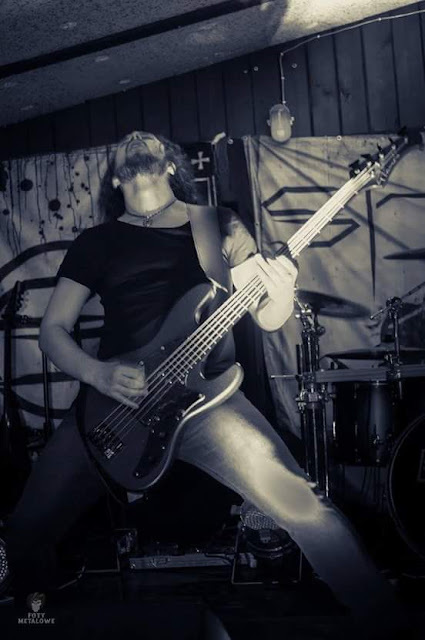 I have always been a fan of single-guitar metal bands and I try to use bass as a harmonic instrument for guitar. It requires a lot of skills and patience from our bass player because it leads bass parts to be very complex and groovy in the very same time. Especially when I do a lead guitar stuff. I often use also samples as a background, something that complete the sound and gives something additional to the overall atmosphere of the record. Such formula works for us well. Do the lyrics affect your music ? For instance, a vocal line that you write can force you to change the riffs for the sake of a vocal line. In order to avoid that you can write songs as instumentals first and then start to write vocal parts, so the real question is do you write the music first, or the lyrics, or the process is combined? Szczepan Inglot : The changes of riffs for a vocal line doesn't happen often because the vocal line is our point of entry when we start to compose a new piece. Maybe would be surprise for a many but I think our music is vocal-driven mostly. And in Arranging songs, whether SHODAN pressing to play more Endless Complicated, Complex and Heavy Faster? 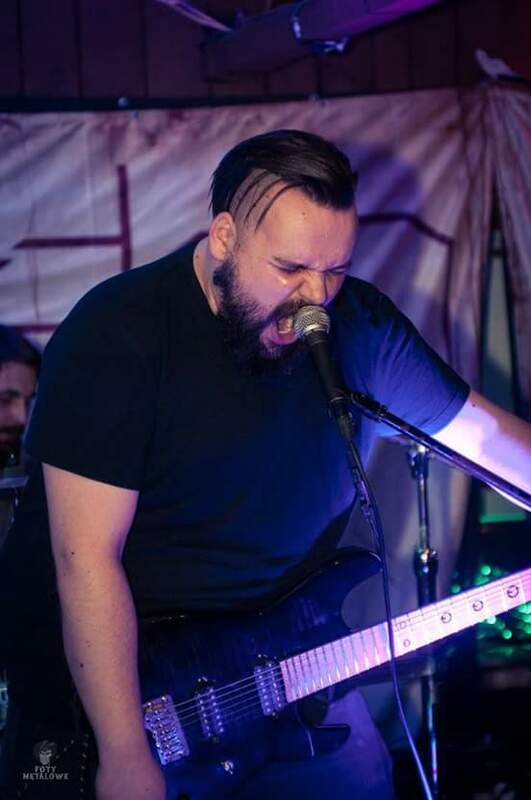 Michal Jarosz : Our music should be emotional in the first place. What should be taken to make it sound in this or that way are not most important thing for us. You are an educated musician. Do you sometimes struggle with overthinking whenwriting your music? What i really like about SHODAN is that almost every riff has somedetail that gives a unique feel to it, and music as a whole is pretty layered, which is also a good thing. Do you think death metal has room to expand, or do you think it’s already been pushed to its limits? Where would you like to see the genre go in the future? Szczepan Inglot : Me and Michal often share new music with each other and sadly, for over 2 years it is really hard to find a new worth-looking new extreme record. I think the problem with the genre is that overthinking and perfection takes over the emotion and the message for their listeners. Technical advantages are not a message! I hope that other newcomers share my opinnion on that matter and we will get new decent music in short time. Where do you think or where do you want SHODAN to be 5 years from now? Overall, it's time to come to an end now. Hope you enjoyed this interview? Thanks for answering my questions and the time you spend on them. I hope I didn't forget anything? If there's something left to say at the end feel free to use this opportunity now. You can add what you wish, I let you conclude all last word this Interview ! Thanks for the interview! Listen to SHODAN, keep your eyes on our dates and support death metal! Cheers! semua tulisan disini adalah Hak Milik LOSTINCHAOS Mediazine yang Free for Share cukup hanya dengan mencantum-kan Source Interview link-nya. tulisan disini dibuat dengan jujur tanpa tendensi apapun. saran, kritik dan caci maki, silahkan tinggalkan komentar dibawah ini, Keep Metal Flame till' die ! 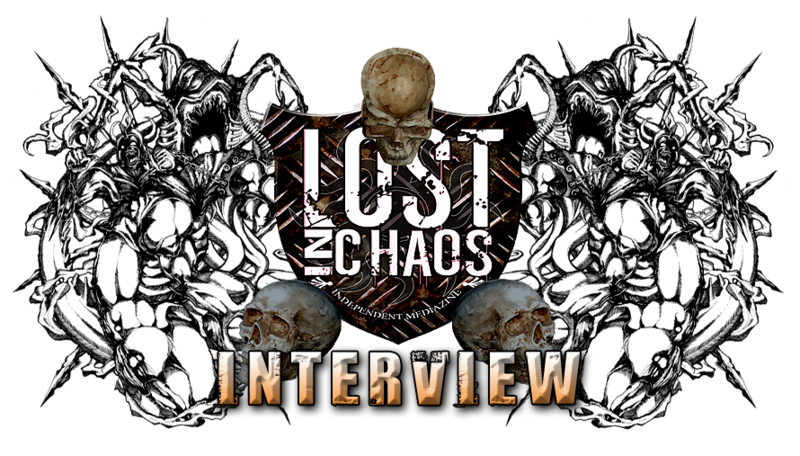 Welcome on LOSTINCHAOS Interview New Page .... Find & Search MUCH Review Here !!! interested to join with us? Please send materials Band You to review and if necessary we will conduct interviews to help your band promotion.